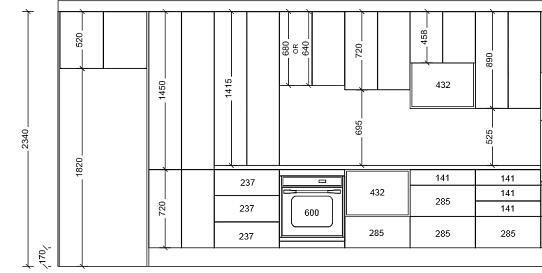 The Interloc Kitchens range is extensive but we have designed the catalogue to provide all the information you need to create your dream kitchen… … put simply, we have a specific range of floor, high, bench and tall units with panels to suit. 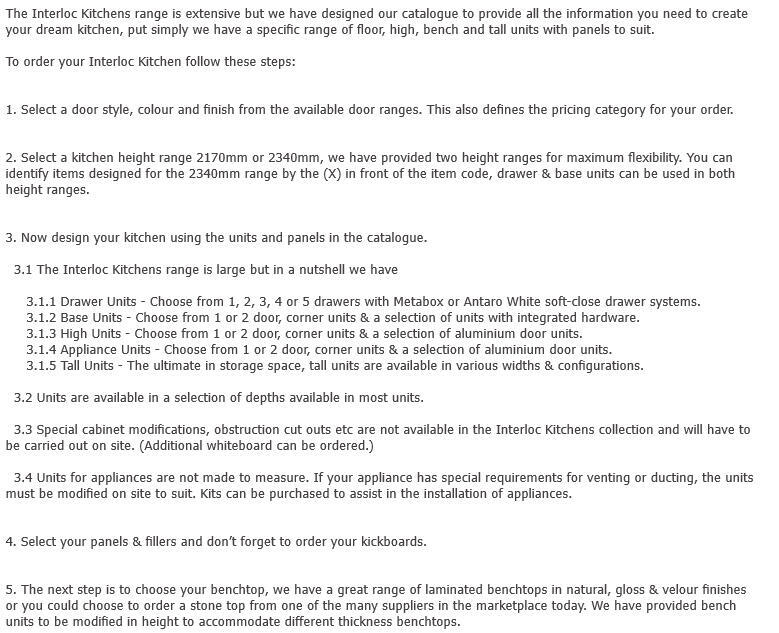 To Order your Interloc Kitchen, follow these steps: 1. Select a door style, colour and finish from the available door ranges. This also defines the pricing category for your order. 2. 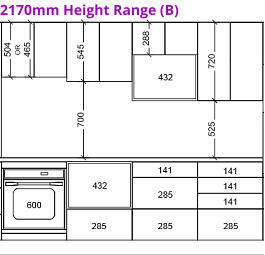 Select a kitchen height range 2170mm or 2340mm… We have provided two height ranges for maximum flexibility. 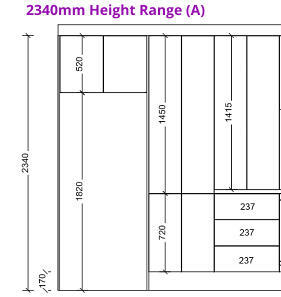 You can identify items designed for the 2340mm range by the (X) in front of the item code. 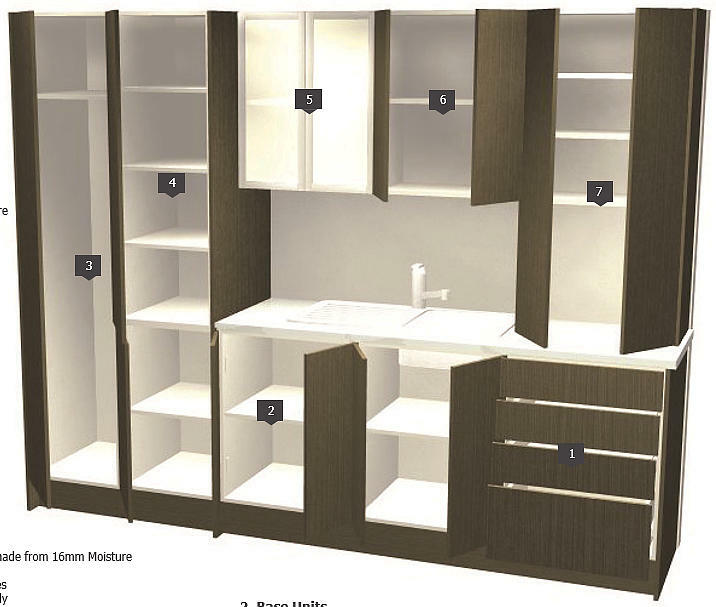 Drawer and base units can be used in both height ranges. 3. 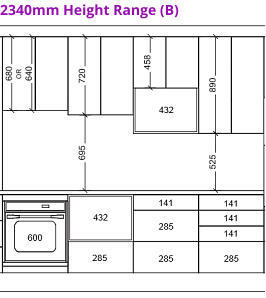 Now design your kitchen using the units and panels in the catalogue. 3.1 The Interloc Kitchens range is large, but in a nutchell we have… 3.1.1 Drawer Units - Choose from 1, 2, 3, 4 or 5 drawers with the Metabox or Antaro White soft-close drawer system. 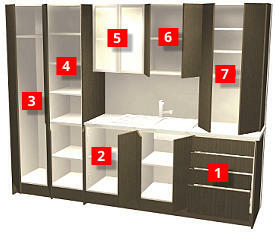 3.1.2 Base Units - Choose from 1 or 2 door, corner units and a selection of units with integrated hardware. 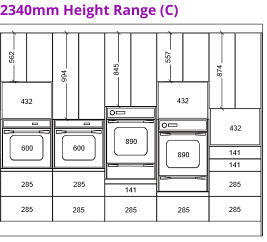 3.1.3 High Units - Choose from 1 or 2 door, corner units and a selection of aluminium door units. 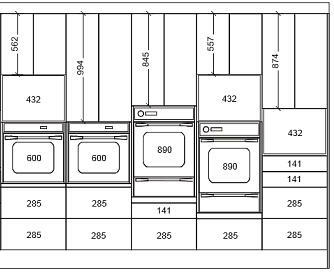 3.1.4 Appliance Units - Choose from 1 or 2 door, corner units and a selection of aluminium door units. 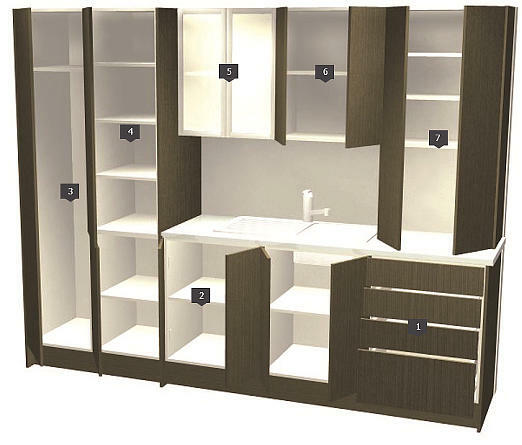 3.1.5 Tall Units - The ultimate in storage space, tall units are available in most units. 3.2 Units are availabe in a selection of depths available in most units. 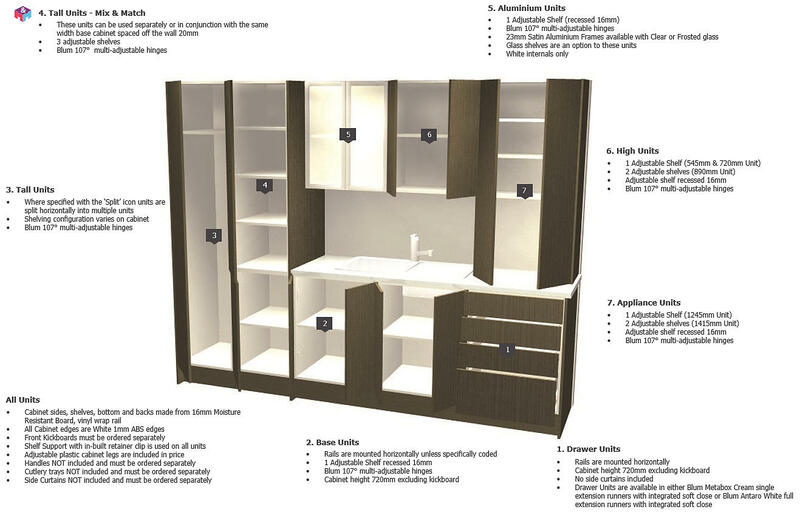 3.3 Special cabinet modifications, obstruction cut-outs, etc, are not available in the Interloc Kitchens collection and will have to be carried out on site. (Additional whiteboard can be ordered.) 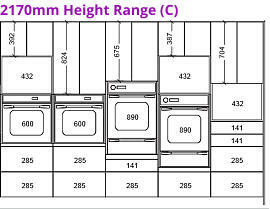 3.4 Units for appliances are not made to measure. If your appliance has special requirements for venting or ducting, the unitsmust be modified on site to suit. 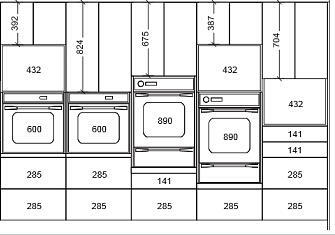 Kits can be purchased to assist in the installation of appliances. 4. Select your panels and fillers and don’t forget to order kickboards. 5. 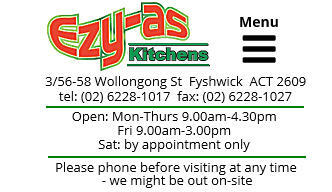 The next step is to chooses your benchtop. We have a great range of laminated benchtops in natural, gloss and velour finishes or you can choose to order a stone top from one of the many suppliers in the marketplace today. 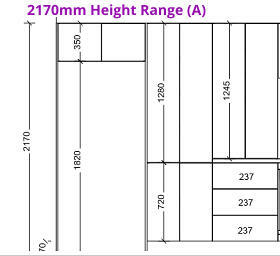 We have provided bench units to be modified in height to accommodate different thickness benchtops. 6. 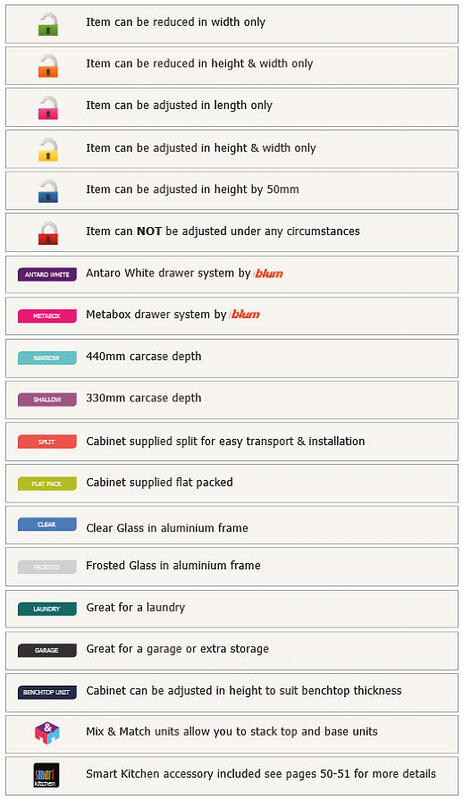 Last but not least, you will need to finish off your new kitchen by picking which accessories you want to use. These can include handles, waste bins cutlery trays and more. 7. 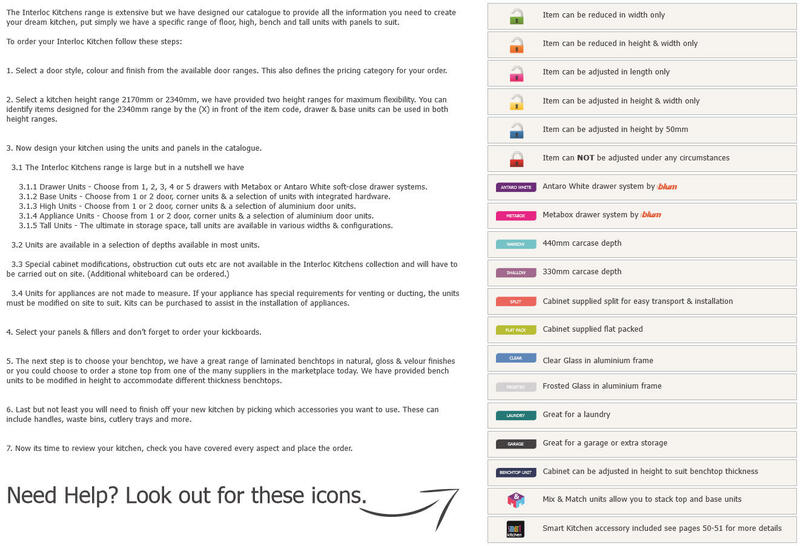 Now it’s time to review your kitchen, check you have covered every aspect and place the order. 1. Drawer Units - Rails are mounted horizontally - Cabinet height 720mm excluding kickboards - No side curtains included - Drawer units are available in either blum Metabox Cream single extension runners with integrated soft close or blum Antaro White full extension runners with integrated soft close.